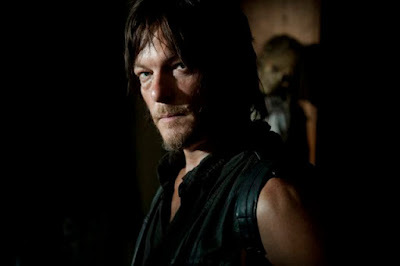 I Love That Film: Could The Walking Dead go on without the original cast? Could The Walking Dead go on without the original cast? ‘The Walking Dead’ showrunner Scott Gimple has suggested that there may be life in the zombie apocalypse TV series even after the current cast of beloved characters have all become corpses. Despite fans caring far more about characters like Rick, Michonne and Daryl than about watching the undead shuffle around biting people, Gimple reckons that ‘The Walking Dead’ could go on without its primary protagonists still in place. Speaking at the Envelope Emmy Round Table discussion with other showrunners, Gimple mentioned shows like ‘The Wire’ and ‘Game of Thrones’ as influential shows that have either taken new series in new directions with new casts or have killed off major characters but kept their loyal fan base. So many shows don’t have clear endings mapped out from the start (hello ‘Lost’) that they can sometimes disappear into insignificance or become ridiculous in their attempt to wrap up loose ends. ‘The Walking Dead’ is a show that has no clear ending and with the source comics still being rolled out year after year, there is no real ending in sight. This is good news for fans, particularly as Gimple seems certain that there is some sense of design to the series, even if there is no destination yet. He says, ‘it’s knowing thematically where you're going, knowing what you want to achieve, but almost accounting for expansion from that — having an end in mind that’s flexible’. So is this a way of getting fans used to having Rick around less? 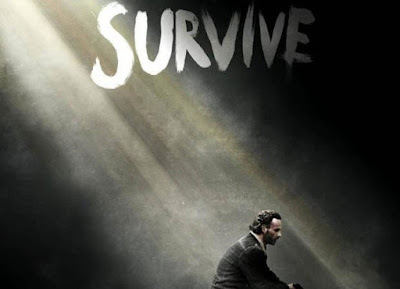 Can the show kill off Rick and still continue? Would that be too much of a deviation from the comics for many fans? Star Wars: The Original and Still the Best?